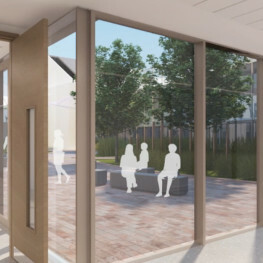 A new £200 million acute hospital for Dumfries and Galloway, the Royal Infirmary is located on a greenfield site on the edge of the town of Dumfries. 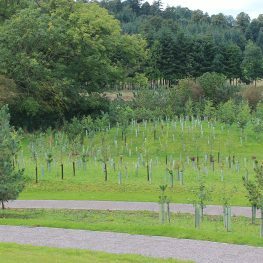 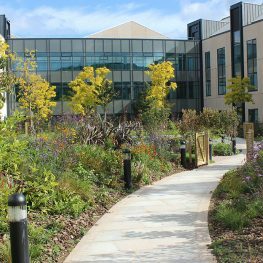 We masterplanned the hospital in a new woodland campus to reduce the scale of the building and to limit the impact of the development on the surrounding countryside. 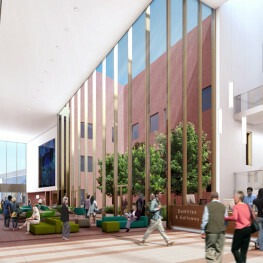 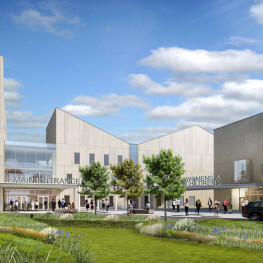 In close collaboration with the architects we have designed the new hospital to reflect the rural setting. 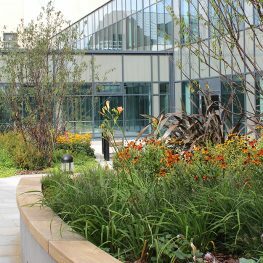 We have also optimised views from the building and to allow natural daylight in to the heart of the hospital through landscaped light wells. 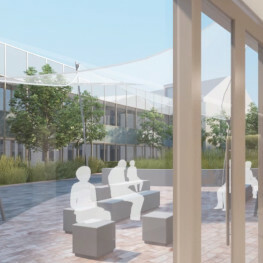 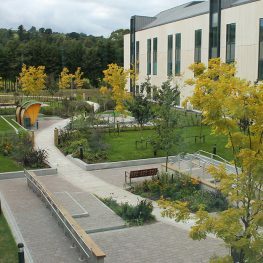 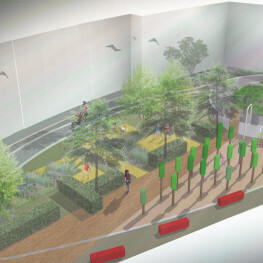 The public realm, including extensive landscaped gardens and parkland, gives clarity to the visitor, provides an attractive setting for staff to work in and delivers a healing, therapeutic environment for patients.